Also completed and published three novels under a pen-name, with another almost done. Nice covers! Your productivity puts mine to shame. Good luck with the next six! but I like to get them ready and go look at them from time to time to inspire me. Ohh yah. Some of mine date back ten years, and they serve two purposes. 1. write this damn book, will you? and 2. See? You are getting better at cover design, however slowly that might be. I like the dragon on #1 and #3 best, this one's a bit less impressive. I was going to change it before release, but I'll get there. Six months ago, that was the best I could do! 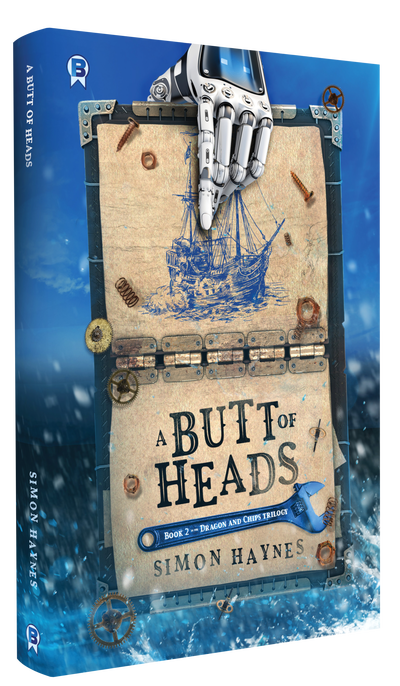 Let me know if you want a new release spotlight for this at the Speculative Fiction Showcase. We're always happy to feature you. Love the covers! I need to check these out! Hal Spacejock 9: Max Damage has been released! Ah! 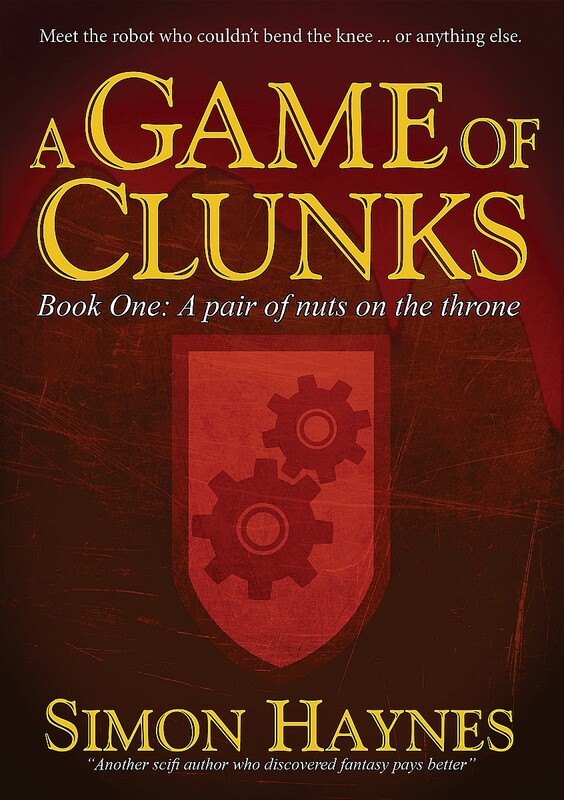 I was wondering if you do your own 'similar themed' covers as they're all so very clever! 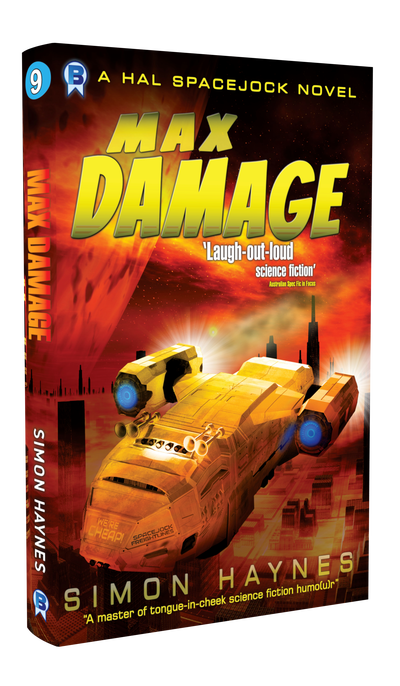 Congratulations on your latest release, Max Damage, Simon! Thanks, and yes. I use stock art and 3d models. Having the 3d model is great because I can pose it however I want and generate any number of series covers. Of course, buying a 3d model costs about the same as 50 stock images, but still, it does give me a lot more freedom.